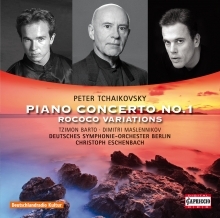 One of the most famous piano concertos is now released in a complete new production: World famous pianist TZIMON BARTO worked together with no less a person than his pianist colleague and conductor CHRISTOPH ESCHENBACH. Both of them show us a very new and exciting version of the score which we never listend before. After the final concert of this production at the Berliner Philharmonie the audience and the press reviews has been very enthusiastic. 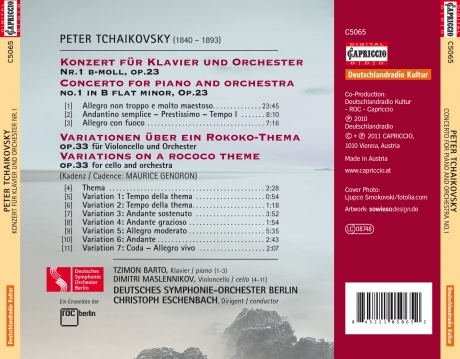 finish this CD with the famous Rococo Variations by Peter Tchaikovsky.